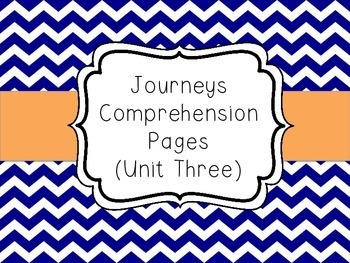 This set includes a comprehension page for each story in unit three of the Journeys reading series. The students are asked to color a smile if it did happen in the story and a frown if it did not happen in the story. Then, the students are asked to make a text to self connection or tell something that they learned in the text through a written response. There is also an editable version included. It is my first time trying an editable version so if it does not work, please contact me and I will fix it for you! 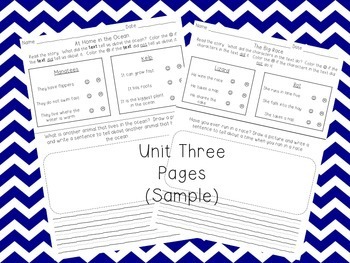 Unit Three is a little more difficult then the Unit One and Unit Two story comprehension pages.